Frontier Developments today announced an open beta test for Elite Dangerous: Beyond – Chapter One beginning January 25, available for FREE. 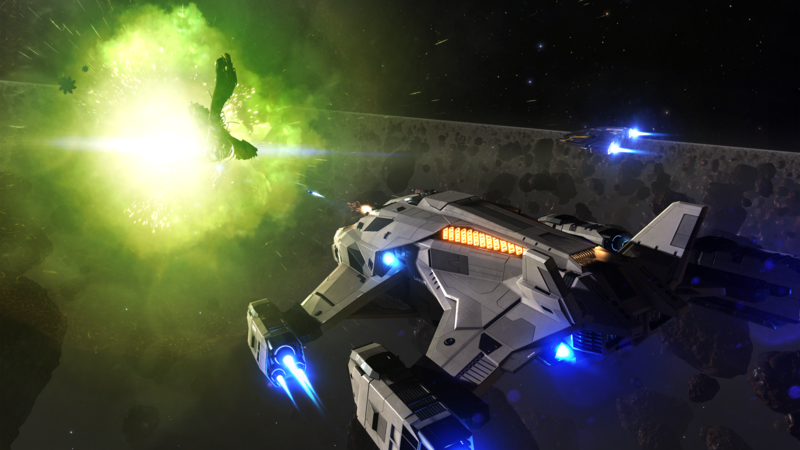 Launching Q1 2018, Elite Dangerous: Beyond – Chapter One is the first update of Elite Dangerous’ third season, following the Thargoids devastating assault on humanity’s starports. Beyond advances the ongoing player-driven narrative and introduces a variety of gameplay enhancements, upgrading the gameplay experience whether players prefer to trade, fight or explore in Elite Dangerous’ massively multiplayer galaxy. Prior to launch, the Chapter One open beta will be available to all PC Elite Dangerous players, offering a first look at Beyond’s new content and a chance to shape the update’s development. In the open beta, Wing Missions bring challenging team-based objectives for players to complete with friends and community members around the world. Commanders will share their adventures – and rewards – with allies while working together to overcome dangerous obstacles. Advanced in-game Trading Data will empower traders to make better deals and smoother transactions. 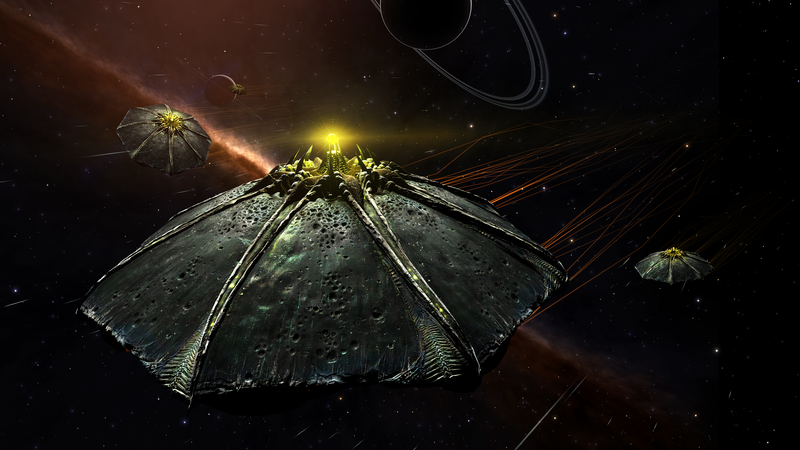 Information on the galactic economy is now more freely available, allowing every commander to become a master merchant as they journey among the stars. 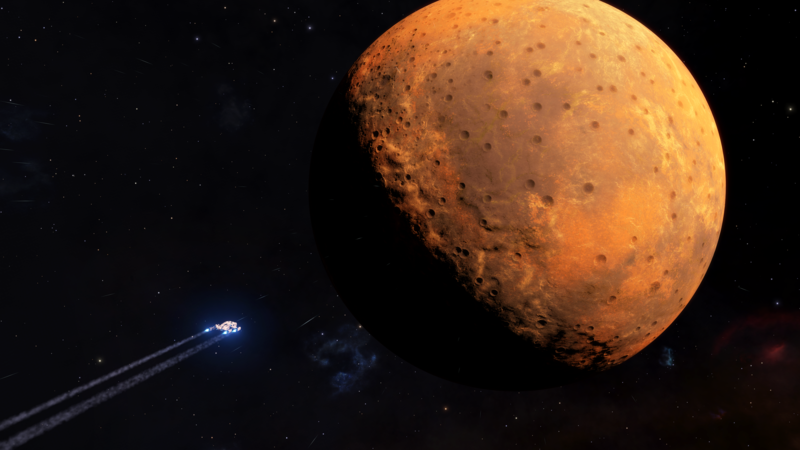 The Elite Dangerous galaxy becomes more realistic and beautiful than ever before with reworked planet rendering technology in Frontier’s COBRA game engine. In Beyond – Chapter One vibrant surface colors better reflect planetary geological properties, enriching the full-scale Milky Way. Chapter One also features a range of game-improving updates, including changes to the engineering mechanics, an overhaul of mission rewards, and an altered crime and punishment system. The open beta will also allow commanders to fly a new Alliance warship: the Chieftain. Additionally, GalNet Audio will allow players to catch up on the galaxy’s latest news without ever leaving the action, bringing the ongoing narrative to the foreground at a dangerous moment for humanity’s pilots. Elite Dangerous: Beyond – Chapter One will be available for free to Elite Dangerous players on PC, PlayStation 4 and Xbox One in Q1 2018. The Chapter One open beta will be available to all PC players through the in-game launcher on January 25. Elite Dangerous and Elite Dangerous: Horizons are available now for PC, PlayStation 4 and Xbox One.